We grow and sell our own fresh and frozen blueberries pre-picked and ready for you to take home. 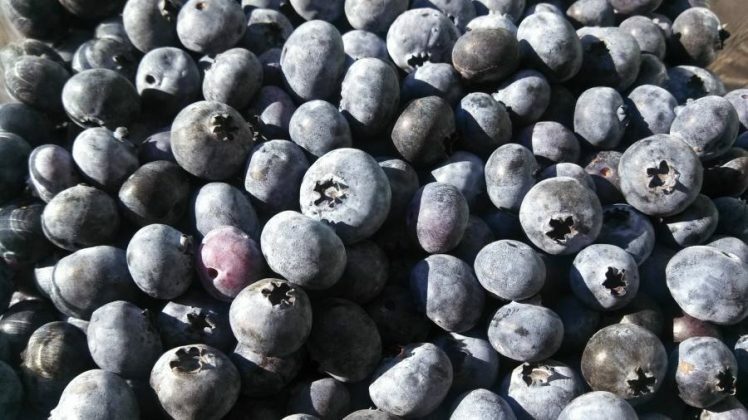 We also have u-pick blueberries available mid-July through mid- August. Our store and u-pick blueberries are both open on Sundays 9a-4p July through Labor Day. We sell a large variety of local produce - fresh picked sweet cherries, sugar peas, peaches, plums, green beans, yellow beans, zucchini, squash, tomatoes, and more. We also have a bakery featuring blueberry donuts made fresh daily! Pies, blueberry cinnamon bread, homemade fudge, soft serve ice cream, and much more!